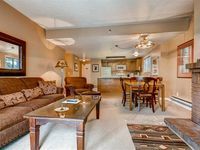 Large Condo that Sleeps 7 - Steps to Park City Mountain Resort!! Property 2: Large Condo that Sleeps 7 - Steps to Park City Mountain Resort!! Awesome Condo in Park City with just less than 130 steps from Ski!! Property 3: Awesome Condo in Park City with just less than 130 steps from Ski!! Gorgeous Park City VRBO Condo 3 Minutes from Ski and Main St.
Property 10: Gorgeous Park City VRBO Condo 3 Minutes from Ski and Main St.
Property 11: Awesome Park City VRBO Condo 3 Min to Ski and Main St! Two Level Condo with 4 Bedrooms, 3 Bath - Sleeps 10-12 - Steps to Park City Mountain Resort!! Property 13: Two Level Condo with 4 Bedrooms, 3 Bath - Sleeps 10-12 - Steps to Park City Mountain Resort!! Old Town Snowblaze Condo Just Steps from Park City Resort! 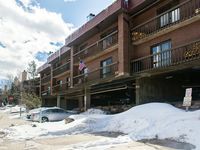 Property 17: Old Town Snowblaze Condo Just Steps from Park City Resort! Condo that Sleeps 6 with Amenities-Steps to Park City Mountain Resort! Property 18: Condo that Sleeps 6 with Amenities-Steps to Park City Mountain Resort! Great Location!!! Park City Resort 1 Block Away, Walk To Main St! Property 20: Great Location!!! Park City Resort 1 Block Away, Walk To Main St! Top Floor, Completly remodeled; Come stay with us while you play! If you have a rental car the below building parking is key. The condo is clean, large, and well maintained. Sam is easy to work with and has clear instructions. The condo was very comfortable. Everything worked. One light bulb was out, but we made a call &amp; it was fixed the next day. Has its own indoor hot tub with room for 2 and a nice surrounding area for a cheese platter, plates and your favorite beverage. Never a problem about parking. One block from Park Ave, one block from the resort. Bus stops right at the corner of Park Ave to go into town. Feels private and was quiet while we were there.